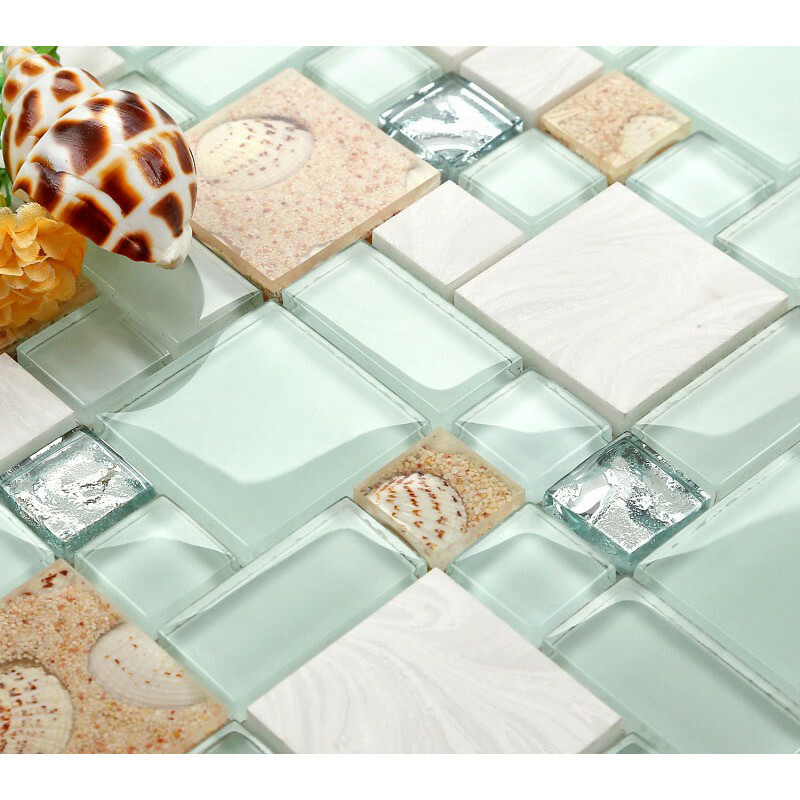 First-quality glass and conch blend tile for standard residential applications, almost zero water absorption, is marginally skid resistant. 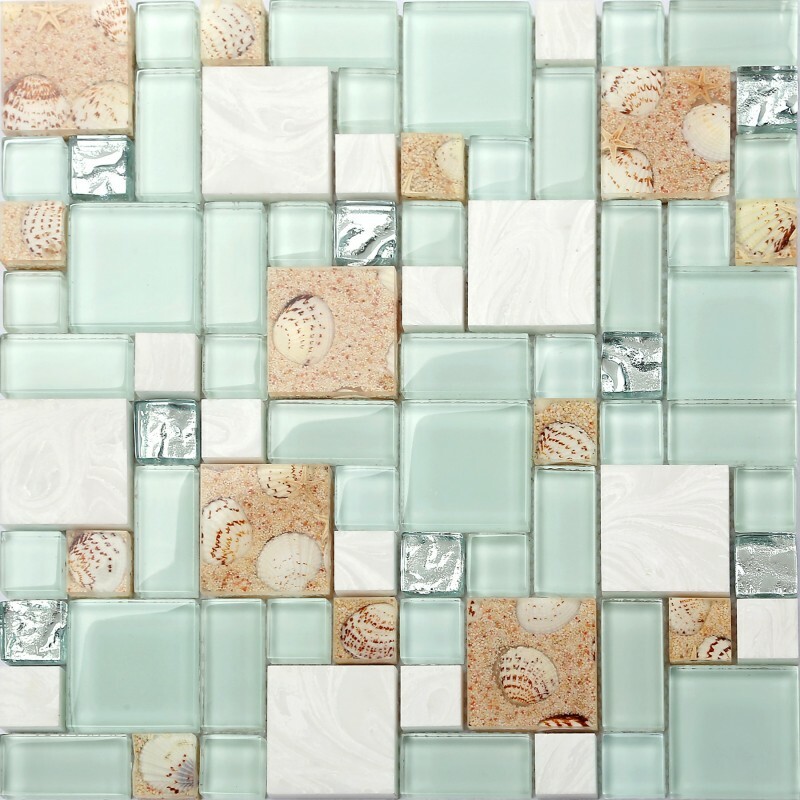 This mosaic tile is called glass conch tiles which are made of crystal glass chips with inner seashell conch. 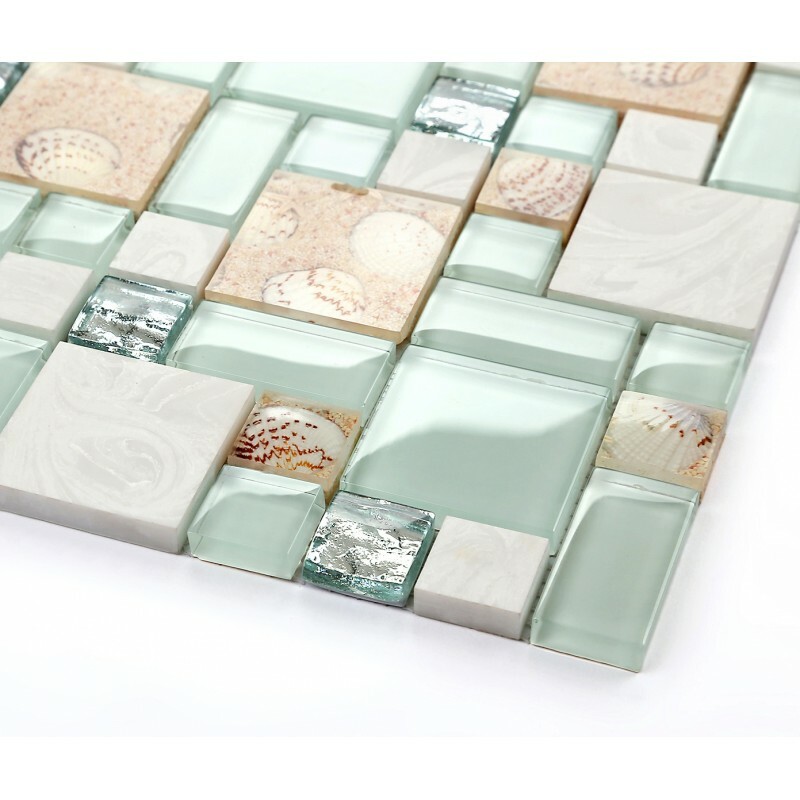 The resin chips are randomly added into the tile and the inner stuffs are also random. 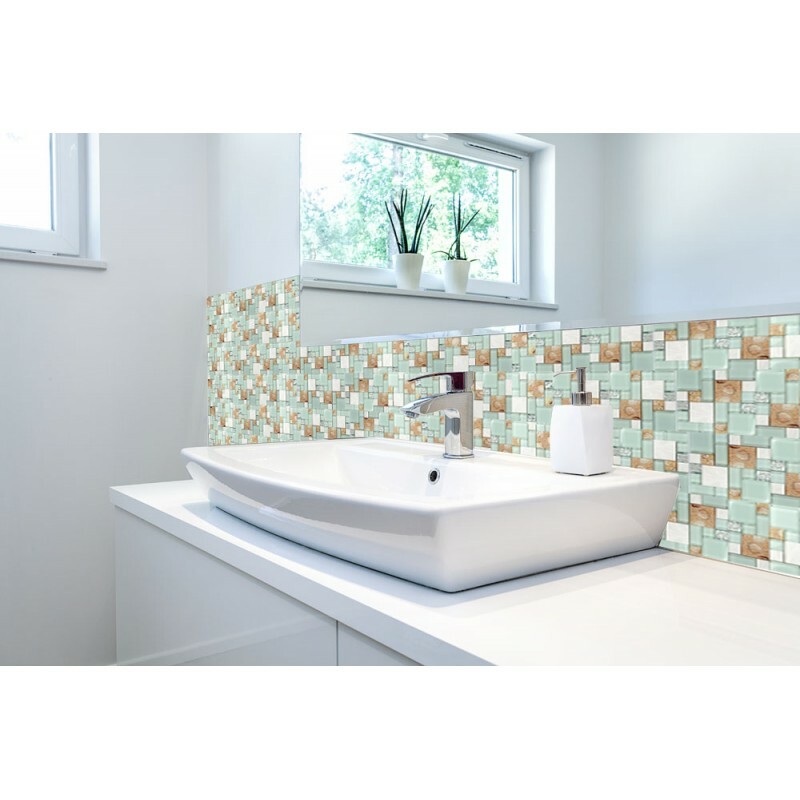 This kind of mosaic is a new design which makes the tile lively. The glass conch tile gives a strong feeling that it is a picture. Combine with the sky, the sea, the sunshine and the beach. What a great art work!